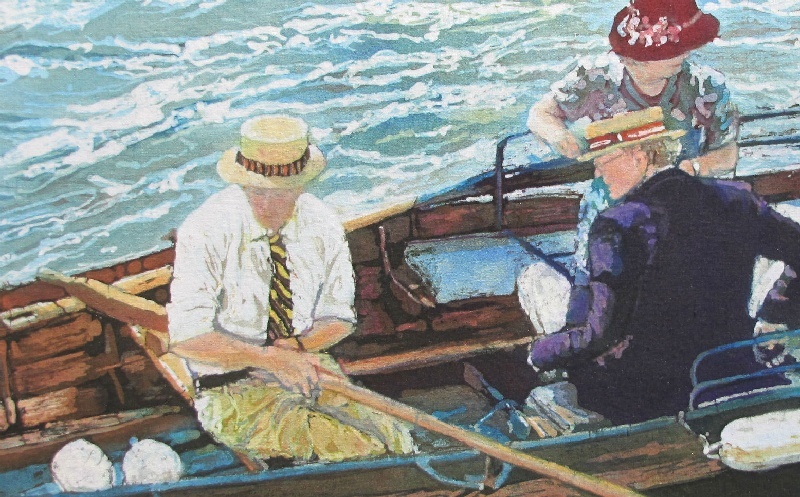 A batik painting of well-dressed spectators at the Henley Regatta on the River Thames. 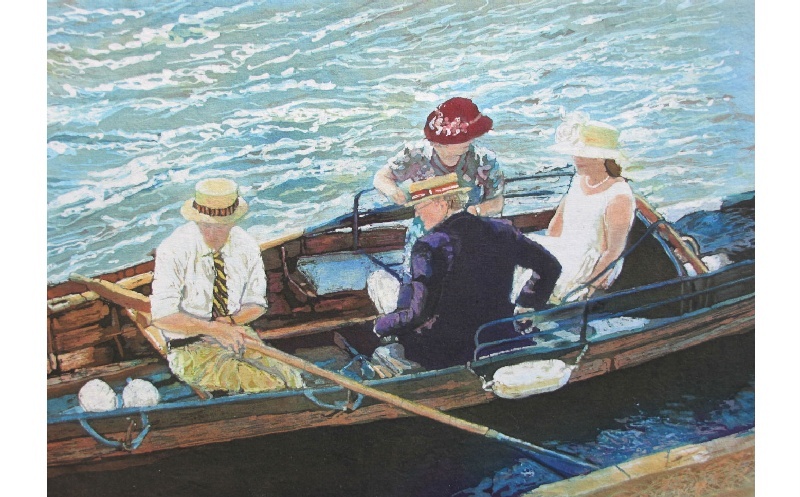 A few years ago, I was invited to exhibit my work at the Henley Regatta. I took this photograph of the spectators as they stepped into the boat. The scene reminded me of days gone by.